Porsche may well have built its last-ever diesel model. When it became clear that the only way to effectively sell and market diesel engines in cars and crossovers was to cheat on emissions, manufacturers like Mercedes Benz, Volkswagen, and Audi abandoned the outdated and dirty technology for the U.S. market. Porsche also quit selling diesel models here, and now news comes news that Porsche may have quit on diesel all over the world. Porsche was part of the Volkswagen family of brands that intentionally marketed vehicles that the designers built to pollute at up to 40 times the legal limit, and worse, to fake out the EPA and other tests that checked the emissions of vehicles. Billions in fines, dozens of executive “retirements,” and a handful of jail sentences later, automakers are finally figuring out that the purported benefits of diesel are negated by the downsides. Those include the fact that real-world vehicles with diesel engines don’t produce less CO2, are the dirtiest and most difficult vehicles to engineer to meet air pollution requirements, and compared to modern high compression gasoline engines, are slower and use no less petroleum. Diesel's problem is that the textbook theory and real-world don’t align well. Before the dirty diesel cheaters were revealed, they were already being surpassed in terms of performance and efficiency by mainstream gasoline vehicles. When cost of ownership is factored in, the slower, louder, dirtier diesels just didn’t stack up anymore. Green Car Reports’ John Voelcker lays out the details carefully and methodically about Porsche’s decision to quit on diesels in a recent story worthy of a read. Take note of the part in that report where the Porsche executive explains that almost nobody wanted diesels anymore and that “…buyer demand shifted to gasoline and plug-in hybrid versions.” The greenwashing of dirty diesel has failed and buyers of cars and crossovers know the benefits are baloney. Truck buyers want diesel vehicles. To them, for the most part, the environment is not even a consideration. In fairness, there are some applications where diesel makes sense for towing huge loads. In the midsize pickup world, diesel vehicles are popular despite the fact that they cost as much as 10% more than gasoline vehicles that can tow just as much, just as efficiently. General Motors has a new modern diesel car and it provides an excellent illustration of the demise of diesel due to better gasoline engines in direct competitors. The same is true of its crossover. Mazda has announced (about four times) that it plans to bring a diesel to market in the U.S., but never has. Its latest announcement is that Mazda now has a gasoline engine that produces just as much torque and has the same efficiency as diesel engines. Welcome to the club Mazda. Honda, Toyota, and others are happy you joined! Diesel is done. 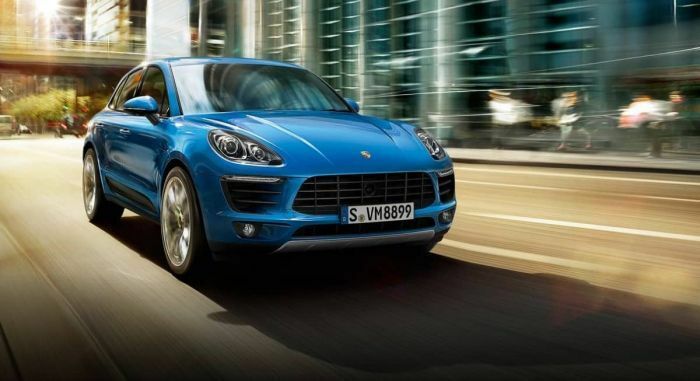 Porsche’s quitting on the dirty fuel and the dirty vehicles that use it is just the latest nail in the coffin. Did VW use diesel-breathing monkeys in experiment? Report says yes. J Goreham: "Porsche was part of the Volkswagen family of brands that intentionally marketed vehicles that the designers built to pollute at up to 40 times the legal limit, and worse..." The 40 times the legal limit is a number put forth by the Main Steam Media ad nauseam – and the MSM rarely gets anything right. Some factual numbers please: What is the "legal limit" number/specification – of what "pollutant"? What is the number for "40 times the legal limit" of the "pollutant"? The specific pollutant that EPA refers to is NOx, oxides of nitrogen. The EPA document from which the lamestream media and other reports get the "40-Times" reference is found at this link separated by an asterisk. You can cut and paste it to a browser, our comments don't support direct links. See second paragraph under Timeline...* https://www.epa.gov/vw/learn-about-volkswagen-violations * The maximum allowable pollutants by vehicle type and by pollutant can be found at this link * https://nepis.epa.gov/Exe/ZyPDF.cgi?Dockey=P100O9ZJ.pdf * The way that the determination was made that the VW and, more recently other vehicles such as Dodge, Ram, Jeep diesels emit more than the allowable pollutants is explained well in this story * https://spectrum.ieee.org/cars-that-think/transportation/advanced-cars/how-professors-caught-vw-cheating * I agree that the MSM will latch onto and repeat a number or catchphrase without actually understanding it. In this case, the issue is pretty straightforward. VW has admitted to the crime and to the amount of pollutants its dirty diesel vehicles illegally produced. Jeep, Dodge, Ram admit that the diesel vehicles they produced were also not in compliance and are still negotiating fines and corrective action with the EPA. "The major excess pollutant at issue in this case is oxides of nitrogen (NOx), and is a serious health concern." Allegations only – no health problems identified. Unless missed, my requests for specific numbers, regarding 40 times the legal limit, remains unfulfilled. Regardless, there was no "crime" since no individual victim was identified or filed a claim. A book "Three Felonies a Day" surmises that the average working American commits Three (Federal) Felonies a Day (See Amazon). If individual's activities were monitored, maybe minor infractions would be uncovered (driving too slow, etc), subject to a fine of, oh, a couple hundred thousand. Seems as rational as the fines against Volkswagen and others. I'm not drinking the Kool-Aid, I don't want to be next – do you? . I'm with you Mark. Sadly, Oliver Schmidt didn't get the memo. He's the executive from VW that pleaded guilty and is now doing 7 years.